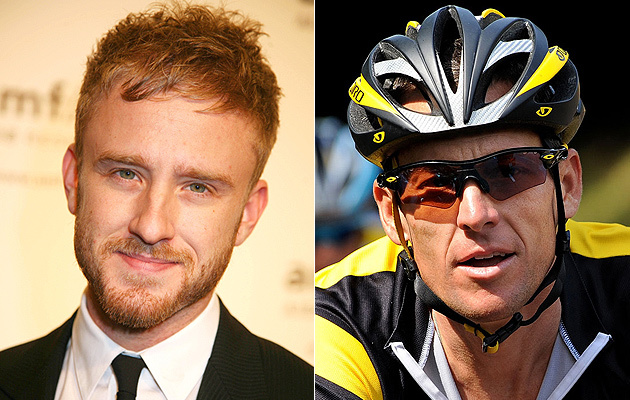 Ben Foster of Contraband fame is set to play Lance Armstrong in the new biopic about the rise and fall of the inspiring and now disgraced athletic. The biopic is to be told from the point of view of the Armstrong team, specifically Tyler Hamilton who side by side with Lance during the 1999, 2000 and 2001 Tour de France who since also confessed to doping and was officially stripped of all his medals, what a team eh! The script is being written by John Hodge from Trainspotting fame with Working Title films planning to begin production later this year. This biopic is set to be a doozy, considering the majority of his team mates are now his enemies, is it me or does this have “nasty” written all over it. This entry was posted on Thursday, August 1st, 2013 at 1:04 am	and posted in Uncategorized. You can follow any responses to this entry through the RSS 2.0 feed. « Cohen bites the Dust!